Education is a top priority in the Corpus Christi region, and as a result, the educational systems are strong. Schools are rising to the challenge of educating more students, as new residents are attracted to the area. And they are doing so with great success: at least one school in four out of five area districts is rated ‘Exemplary’. Area educators and community leaders are committed to students, and work tirelessly to ensure that all students, upon graduating, are equipped to begin a career or pursue higher education. Nineteen independent school districts serve the region, including five within the city of Corpus Christi. Students are offered the opportunity for creative learning through a variety of cooperative programs with institutions such as the South Texas Institute for the Arts, the Corpus Christi Museum of Science and History, the Asian Cultures Museum and Educational Center, the Corpus Christi Symphony, the Texas State Aquarium, and the Junior League of Corpus Christi. The largest public school district in the region is the Corpus Christi Independent School District. The Texas Education Agency grades Texas public schools in reading, writing and mathematics. Schools are rated Exemplary, Recognized, Academically Acceptable or Academically Unacceptable, based on their overall performance. 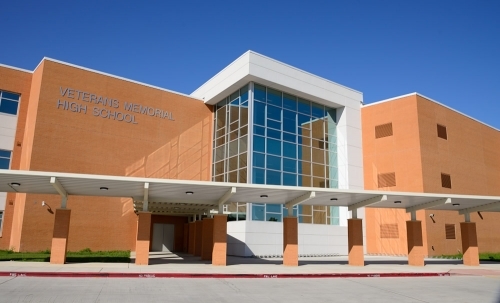 The five school districts in the Corpus Christi area boast a combined 19 Exemplary campuses. Vast educational opportunities abound in the area because of the community’s commitment to its young people through education, innovation, technology and research. Community leaders and area educators are looking toward the future, and employing their best resources to help students reach their academic goals.